Four legged friends from across the county came together yesterday in support of Leicester Animal Aid. 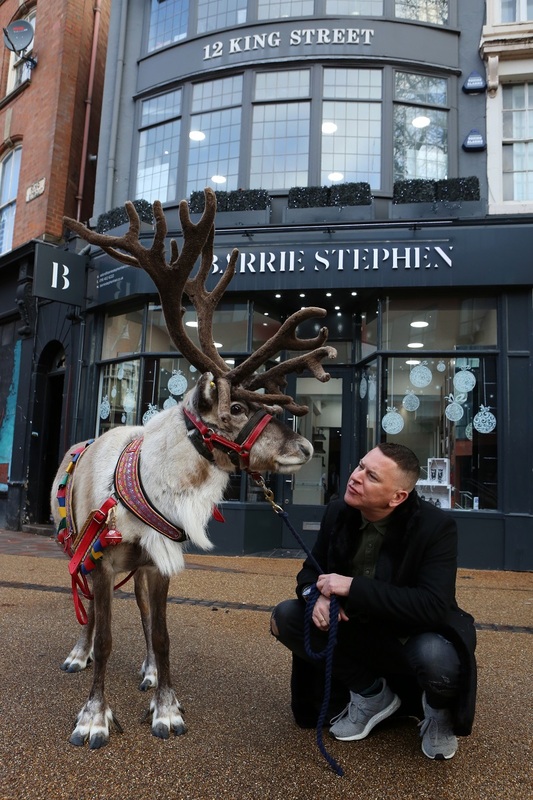 Organised by local entrepreneur and charity ambassador Barrie Stephen, the event saw over 75 people and their canine companions participate in a sponsored walk from Barrie's King Street salon up to Victoria Park. Meeting at King Street on a mild winter's morning, the group were delighted to meet George the reindeer who gave a particularly festive feel to the proceedings. George is the pet of one of Barrie's long-standing clients who kindly brought him along to support the event. Walkers donned their Santa hats and seasonal outfits were available for the dogs then the group set off on a 2 mile round trip up New Walk to Leicester's iconic park. Upon arriving back at the salon, guests were treated to delicious cakes from Bread & Honey and Fazana Bakes, while liquid refreshment was provided in the form of mulled wine from Rothley Wine Estate and hot chocolate from Gelato Village. These small businesses kindly offered all of the donations given for these treats to the pot for Leicester Animal Aid. There was also a raffle where 5 lucky dog owners won a photoshoot for their pooch worth £200 from local photographer Nigel Ord-Smith. Barrie promises that this event is just the beginning of his campaign to raise awareness of the animal shelter's charitable work and to support them in any way he can.